Dressage training in Hertfordshire- The Petros Method. Dressage Training-Winning The Hearts and Minds of Horses. Schooling horses for pleasure, safety, work and competition. In one word: Dressage! Divine Dressage, Superb Showjumping, Cool Cross-country training. 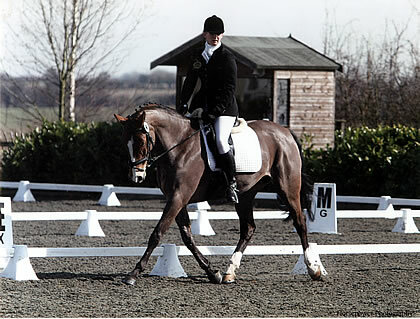 Dressage training; Elastic contact- A key element of successful horse/rider communication. A question of equestrian sport.